Effective leaders have more than titles in front of their names. The right combination of charisma, enthusiasm, and self-assurance, probably with a healthy dose of luck and timing, make regular people instant leaders—at least, that’s how it seems. And while a few people may be gifted with leadership skills, the truth is that leadership traits can be learned and sharpened with time and practice. Begin building your success by developing the traits and principles of a powerful and successful leader—we believe in you! Major General Peter J. Talleri, USMC (Ret) served over 30 years in the United States Marine Corps. At retirement, he was the U. S. Marine Corps senior logistics professional in the Pacific and a recipient of the prestigious National Safety Council’s “CEOs Who Get It” award. Major General Talleri has commanded at all levels and has also been assigned to senior staff positions at U. S. Central Command and the Marine Corps Forces Central Command, located at MacDill Air Force Base, Florida. While at CENTCOM, he was responsible for the information technology logistical planning efforts during Operation Iraqi Freedom and Operation Enduring Freedom. This included providing the strategic and operational plans to ensure that total asset visibility was accomplished during the war. Operation Iraqi Freedom was the first time “Active RFID” was used on a strategic scale. Since retiring from the Marine Corps, Major General Talleri has served in several private sector positions. 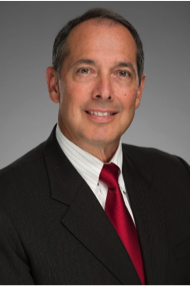 He is currently owner of Peter J. Talleri & Associates; a strategic advisor at Stellar Solutions and BlackBerry and a executive consultant for AT&T, CACI and Raytheon. Major General Talleri also served as Vice President at World IT Solutions and Tec-Masters; led the International Division at Anglicotech and was a former Board Member at Soldiers to Civilians.